What kinds of cultures are you creating in your university? Are the spaces you share with others in the university fair and equitable? Are you conscious of partialities, exclusions or objectifying behaviours among your higher education communities of practice? How do you foster respect, integrity and an ethical sensibility both in your own work and in the work of those you teach or with whom you collaborate? These were some of the foundational issues behind the session that I chaired at last week’s annual Learning and Teaching conference at the University of York – #YorkLT15. 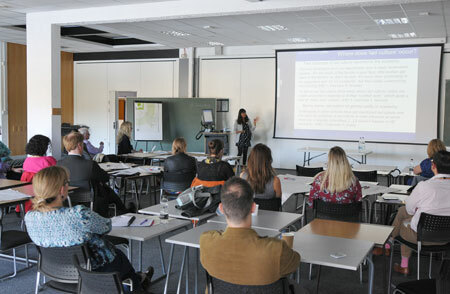 Bringing together two seemingly disparate talks by the excellent Vanita Sundaram – on the subject of lad culture – and Glenn Adam Hurst – on the topic of postgraduate training – the session ultimately converged on matters of inclusivity and equality. As I understood it, Vanita and Glenn, although grappling on the surface with different tensions and diverse contexts of action, were both probing how we go about nurturing constructive, empowering environments for our students, staff and ourselves in the university sector. These are spaces where trust, support, care for others, responsiveness, reflexivity and critical self-awareness are practiced and actively cultivated. They are atmospheres where exclusive practices that breed gendered, power-related and other socio-economic disparities are not tolerated; and where everyone – from sports club leaders to administrators to security personnel, academic staff and the full student body – takes an operative role in advancing just and attentive learning cultures. Glenn’s work in the Department of Chemistry, which focuses upon training postgraduate students as teachers (within the framework of the iDTC at York), is very clearly an effort in crafting positive social and intellectual spaces. 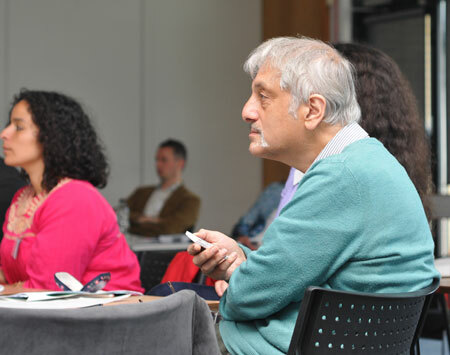 That training seeks to develop critically reflective pedagogical practice and engagement in postgrads themselves, but also to pass on those same skills to the postgrads’ own pupils. Glenn’s talk, in fact, went further, deploying tools – specifically, ‘clickers’ (custom handsets for rapidly collecting quantitative data from students; see Simon Davis’ and Rob Stone’s posts on these technologies) – to encourage parity between and contributions from all of us in the audience. In other words, in Glenn’s presentation, everything from the theory to the hands-on skills training to Glenn’s actual performance using enabling media like clickers coincided in their emphasis on democratic and inclusive practice. In her engaging talk, Vanita reported on both the overt and the tacit activities that have deeply divisive impacts upon such inclusive practice – specifically the enactment (often by men) of sexist, misogynistic and homophobic behaviours, from so-called conversational ‘banter’ to overt acts of objectification, sexual harassment and violence. Vanita’s fascinating original research into such ‘lad culture’ in UK universities indicates that ‘ladism’ manifests not only in social contexts, but in the classroom too, for instance as interruptions, disruptive gestures, general disrespect, ostracising forms of communication, and sexualised module feedback (especially towards females). Most worrisomely, lack of awareness of its damaging effects, lack of understanding of its many manifestations, and lack of recognition of its primary perpetrators (i.e. men*) seem to be rife across the higher education sector. Vanita and her collaborators have found no examples of higher education institutions actively challenging lad culture. And where interventions have, indeed, been installed in universities to curb sexist, homophobic or other prejudiced and harmful behaviours, they have often been directed primarily at health and safety issues, e.g., controlling drinking. As I understand it, there has been virtually no effort whatsoever to instigate real cultural change in matters of gender and diversity at UK universities—that is, there have been few attempts to impact on modes of conversation and socialising, and equally few to more aggressively intervene in established or ubiquitous traditions (e.g., club/group dynamics, module conduct, social media engagements). My take-away message from both Vanita and Glenn’s presentations has been that there is not just more we can do to generate and sustain inclusivity in higher education, but that some of us have yet to recognise – let alone engage in – even the most basic forms of equal and humane behaviours on our campuses. One of the simplest next steps, then, is for us to begin following Vanita’s and Glenn’s various lines of work more closely (if you aren’t already). They are aiming to foster – and to model – the kinds of rigorous, ethically-engaged, equal and sympathetic cultures that make a truly inclusive university environment possible. * This gendered bias in perpetration is an important point given the misconception that men and women are equally implicated in ‘laddish’ acts. It is worth reiterating Vanita’s argument: there is no gender parity here – men and women are not equally implicated. ← L&T Session H – Personalising feedback: Can we bridge the formative-summative gap?